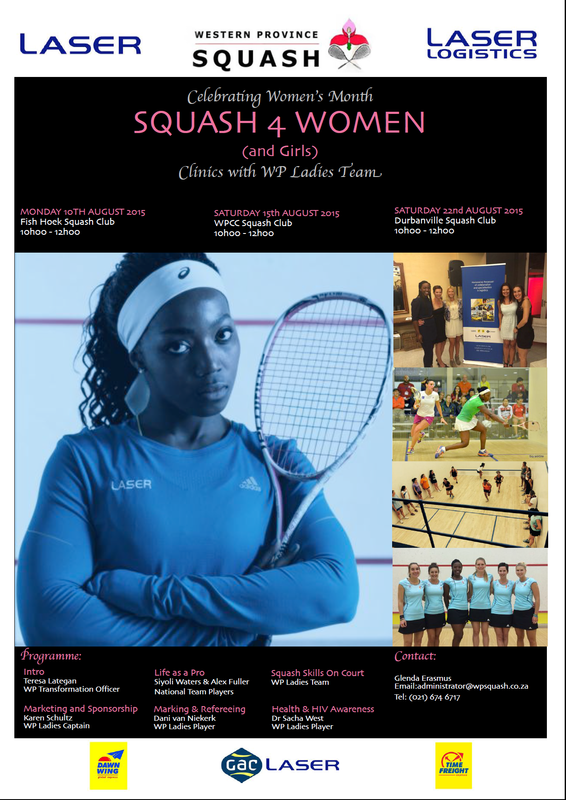 The details of the upcoming ‘Squash 4 Women’ Clinics organised by WP Squash and the WP Ladies team covering various topics to educate and encourage girls and women to take part in a great sport like squash are on the poster below. To celebrate being Women! 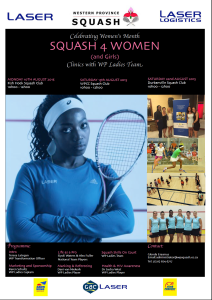 we’ve asked the 3 hosting clubs to reach out to their club members if there are any small businesswomen who would like to be involved on the various days to promote their own business etc. so hopefully will cover a lot of industries depending on the response (nutrition, fitness, beauty, massage, corporate) etc.